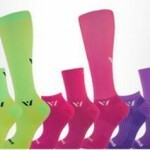 Over the summer I was able to test out several sets of Swiftwick socks for a review. Giving them high marks, I naturally started looking to test out a pair from their wool line-up once the weather started to cool. I received a pair of Swiftwick PURSUIT SEVEN compression socks to see if they would perform as well as the others. With cross season in full swing, it has been the perfect time to try them out. 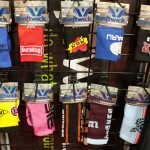 Swiftwick’s all-natural Merino Wool PURSUIT line is made to the same standards and features as their synthetic lines. They feature Swiftwick’s Managed Compression which provides great arch support, a snug fit, and a cuff that stays in place. I found the PURSUIT to be perfect for those autumn rides where temperatures begin to cool and the foliage begins to turn. 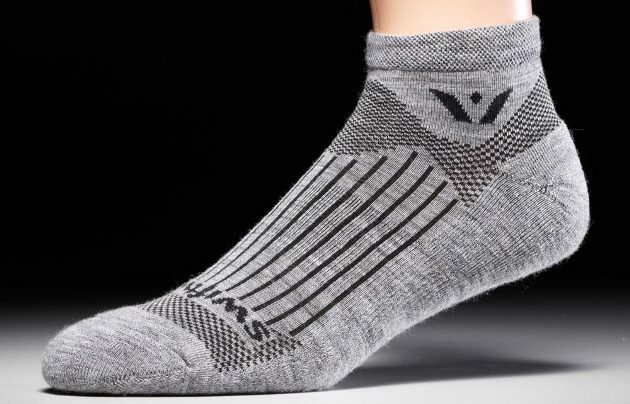 Just like you would expect from a 200-needle count Merino Wool sock, they feel great on the feet. The US sourced wool doesn’t feel scratchy against the skin; on the contrary, the socks are very soft, so much so that I find myself wearing them even off the bike for daily use. The seamless toe eliminates problem areas in the toe-box, which aids in preventing blisters and provides a more comfortable fit. The Merino Wool PURSUIT is equally prepared for cool fall rides or everyday wear. I found the PURSUIT to be perfect for those autumn rides where temperatures begin to cool and the foliage begins to turn. 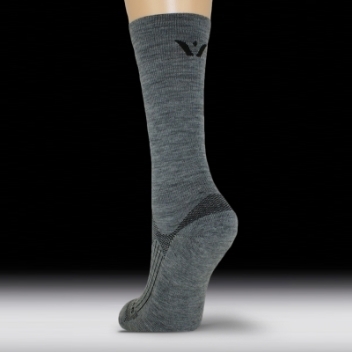 The wool provides a nice layer of warmth and great breathability, keeping the feet warm without becoming too sweaty. As temperatures begin to drop down into the 30s and even into the lower 40s depending on your cold tolerance, you might opt for a bit heavier sock. Otherwise, these socks handle a pretty wide range of temperatures very well. Even on warmer fall rides, the socks maintained a pleasant temperature, thanks to the natural qualities of the wool. 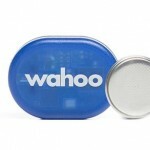 The foot-bed is fully cushioned which provides a nice plush feel. They have just enough cushion for comfort but not so much they begin to feel bulky in the cycling shoes. A variety of colors and cuff-heights are available with a price between 15.99 and 19.99 depending on the chosen cuff height. I have yet to try a sock made by Swiftwick that I didn’t like. They are well made and extremely comfortable. 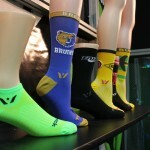 Swiftwick does a great job making performance socks that are comfortable enough to wear on and off the bike. Prologue Cycling Magazine has partnered, once again, with Swiftwick to offer our readers a chance to win their own pair of Swiftwick socks. Our upcoming Holiday Giveaway will include a prize from Swifwick so make sure you check back for more details!